After eating instant noodles, I had a terrible stomachache last week that I told myself to avoid instant food products. However, I still crave for noodle soup so I decided to buy vegetables to mix with the instant noodle products that I have purchased during the first week of January. 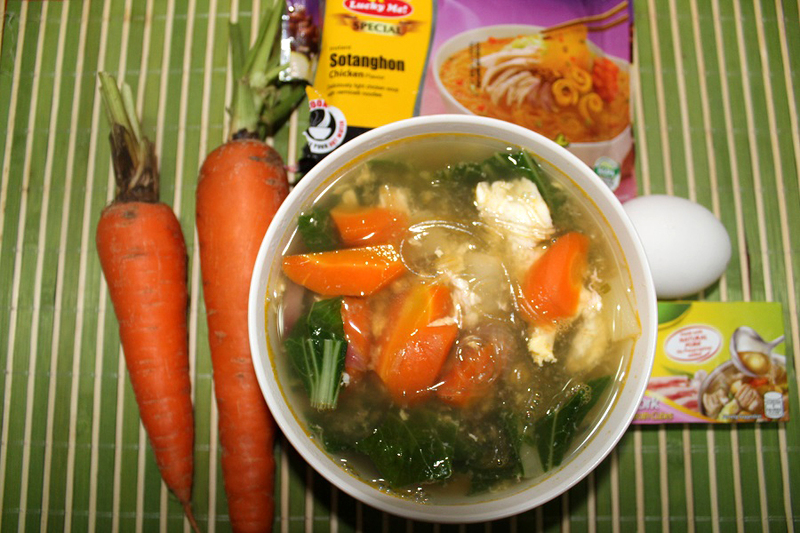 It's so easy to prepare Lucky Me Instant Special Sotanghon Chicken Flavor with Vegetables. All you have to do is prepare one pack of Lucky Me Instant Special Sotanghon Chicken Flavor and vegetables. I prepared this one using a rice cooker since I want to finish cooking as quickly as possible. 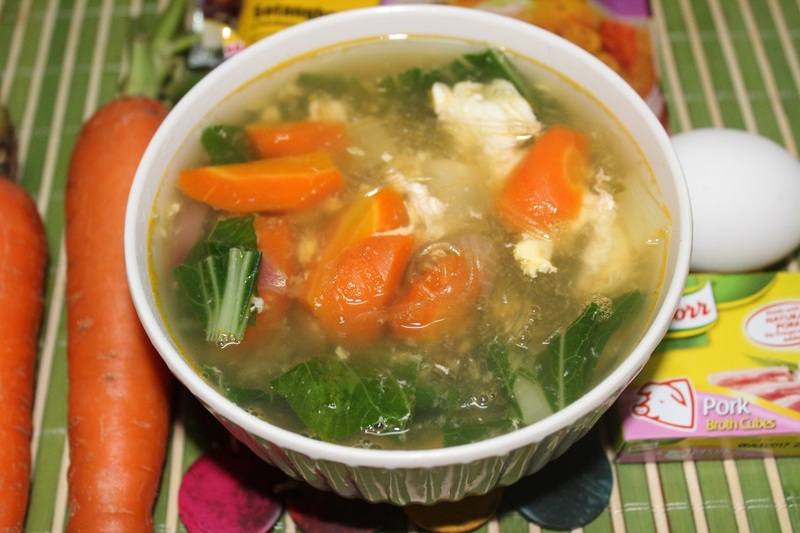 I used pechay and carrots for my sotanghon soup. I added chopped onions, ginger and herbs. I also added one Pork Broth cube and egg to add a distinct flavor to my sotanghon soup. I only eat instant noodles twice or even thrice a month to avoid health problems. Also, I made sure that I drink a lot of water after eating my Lucky Me Instant Special Sotanghon Chicken Flavor with Vegetables soup.